To dismiss an employee legally in the UK, you must ensure you have a valid reason for doing so and that you follow a fair procedure. 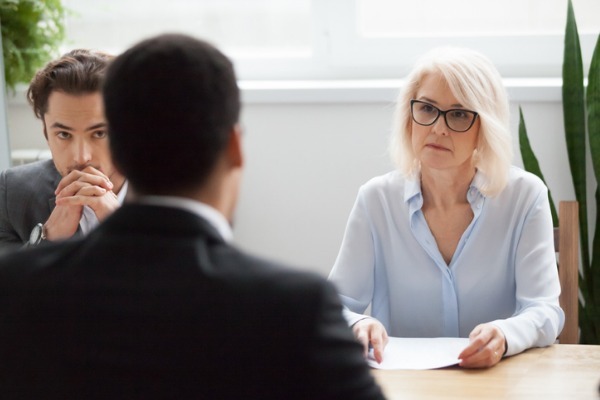 It’s a situation no employer wants to find themselves in, and if it’s your first time needing to dismiss someone, the process can feel pretty daunting. Not only is it a difficult conversation to have, but if you follow an unfair process, or fire someone for inappropriate reasons, you place yourself at risk of a tribunal claim. So if you do find yourself in the difficult position of needing to let an employee go, how can you make sure you do so fairly and legally? Can you dismiss a member of staff without warning? With the exception of gross misconduct, very rarely can you jump immediately to terminating an employee’s contract. Before you dismiss someone, you must ensure you’ve followed your disciplinary procedure, as set out in your disciplinary policy, providing warnings and opportunities to improve conduct. Be very careful not to rush through this procedure because of a desire to remove the individual from the organisation as quickly as possible. Don’t forget to take notes through-out the disciplinary procedure. It’s important that you have written evidence that demonstrates how you stuck to a fair process and tried everything reasonably possible to avoid the need for dismissal. Valid reasons for dismissal include issues relating to the employee’s capability to do their job, conduct issues and redundancy. If you can’t clearly prove that the reason for the dismissal is linked to an inability to carry out the job, misconduct that you can evidence, or redundancy, your reason could be challenged as unfair or invalid. If you can’t easily explain and evidence why, it’s possible your motivation may be unfair or discriminatory. In the case of redundancy, you must ensure you follow your redundancy procedure. the right to take annual leave and be paid the national minimum wage. Be sure that you’re not discriminating against someone with a protected characteristic, such as age, religion, sexual orientation, disability etc. If someone’s performance is suffering because of a disability, you’ll need to first make reasonable adjustments to help improve their performance. Remember, mental health problems such as depression and anxiety can amount to a disability. Only employees with over 2 years of employment with you have a right to challenge a dismissal as unfair on a number of grounds. For instance, they could challenge that you didn’t follow your disciplinary procedure correctly, or that the reason for the dismissal was unfair. However, if your reason for dismissing someone is discriminatory, it will be considered ‘automatically unfair’. An individual can challenge a dismissal of this sort, regardless of their length of employment. You should invite the employee to a disciplinary meeting in writing, advising them of their right to be accompanied. This letter should also advise the employee that a dismissal could be a potential outcome of the meeting. Outline the reasons dismissal may be necessary, and provide any evidence you hold against them, so that they can review it ahead of the meeting. Out of consideration for the employee you intend to dismiss, you should hold the meeting in a private room, where other employees will not overhear and can’t look in. Explain the allegations you hold against the individual. Invite them to comment on the evidence you hold against them and respond to your allegations. It’s important to take notes throughout the discussion. Having a note-taker present to do this will help you to concentrate on the meeting itself. They’ll also provide a witness to the discussion. Be prepared for the employee to become emotional during this meeting. They may bring up distressing details about the impact a dismissal might have on their personal circumstances or become argumentative. You’ll need to steady your own emotions here, and remain focused on the objective reasons for the dismissal. It can help to have these written down to help you keep the conversation on track. Best practice dictates that you adjourn the meeting here to make your final decision. Communicate to the employee that this is what you’ll be doing. Let them know when you will deliver the outcome, and how. Will you reconvene the meeting in half an hour to deliver the verdict to them directly? Or will you be calling them the next day, perhaps? Different scenarios depend on the complexity or the issue, but ideally you will let the employee know face to face and without unnecessary delay. Be mindful that if you deliver a dismissal immediately, without pausing to reflect on the discussion, there’s a potential risk that you could be accused of having made your decision before the meeting even took place, making it an unfair one. During the break, reflect on whether you have enough information to make a confident decision, and that you have sufficient evidence to justify it. If your justification is weak and poorly evidenced, you expose yourself to greater risk of unfair dismissal claims. Equally, if you do deliver the outcome after a short break, there must have been sufficient time in that break to fairly analyse, assess and consider everything raised. The ability to do this is likely to be dependent upon the quantity of information. Also consider whether dismissal is still the most appropriate course of action to take, and consistent with any action you might have taken previously in a similar situation. It can be helpful to draft your response in writing during this time, so that you can deliver the verdict confidently and clearly. On reconvening the meeting, clearly deliver the outcome of your decision. If the outcome is to proceed to a dismissal, you’ll need to re-iterate your reasons for doing so. If you have decided on a different course of action, define this and what you will need to see in order for the employee to retain their post. If you feel more investigation is needed before you make your decision, advise the employee that a further meeting is necessary. If this is the case, ensure you send them any new evidence you uncover before the next meeting takes place and ensure the follow up meeting is arranged in a timely manner. An essential element of a fair dismissal is offering the employee a right to appeal your decision and providing a deadline by which they must do so. You should follow up the meeting in writing, confirming your reasons for the dismissal, final day of employment and arrangements around pay in lieu of notice, annual leave and return of work property. This way you have written evidence outlining the grounds on which you are dismissing the employee, in case they try to claim that your dismissal was for unfair reasons. If you’re a small business, your other employees will very likely notice the departure of the member of staff and may have concerns. Without revealing more than necessary, communications with your other employees following the dismissal should stress that the reason for the dismissal was not a company issue, and that their own jobs are not at risk. It will also make them aware of the consequences that arise from consistent or serious bad behaviour, or a failure to meet expectations around performance. The dismissal may be over, but this last step is vital – you need to stay consistent. If you’re found to have dismissed one employee, but not another, over similar reasons, or to have followed different procedures, giving one employee more opportunity to improve than another, you could find your self facing a discrimination claim. Consistency is key! If it’s your first time dismissing anyone, finding the words to tell someone you’re ending their contract can be difficult. However, if dismissal is a possible outcome of your meeting, you should have already highlighted this in your letter inviting them to your meeting, so you won’t be springing anything completely out of the blue on them. Our best advice if you’re feeling uneasy about the meeting is to write down all the points you want to cover in advance. Introductions – Opening the meeting can feel like the hardest part. Start simply with introductions, then set out the purpose of the meeting. Right to be accompanied – Next, if the employee is without a representative, make them aware of their right and check that they are happy to continue without one. Meeting agenda – Explain that there will be a discussion of the allegations and evidence, followed by an adjournment to reach a decision. Allegations – Discuss each allegation and accompanying evidence in turn, giving the employee the opportunity to comment. Adjournment – When neither side has any further comment to make, adjourn to make your decision. Termination agreement – If the outcome is to terminate the employment contract, confirm when the last day of employment will be and whether there will be any pay in lieu of notice and/or outstanding leave to pay/reclaim. Return of property – Arrange for company property to be returned. Right to appeal – Remind the employee of their right to appeal and by what deadline. Confirmation in writing – Explain that you will confirm your decision and the termination outcome in writing. You can only dismiss an employee quickly, without providing any formal warnings, when they’ve committed gross misconduct. You do still need to have carried out a thorough investigation, though, and gathered sufficient evidence to prove the offence before terminating their employment. This type of immediate dismissal for gross misconduct is known as a summary dismissal. If the employee can provide a different version of events, you will need to consider their side of the story and carry out any further investigation to either qualify or disprove their claims. You should make the most of an employee’s probation period to determine whether they are the right fit for the role and business. Set clear expectations from the outset and monitor performance against these. Communicate regularly to help you to identify any issues sooner rather than later. If you do notice issues in their performance or behaviour, you should raise this with them informally, giving them an opportunity to improve. How long to give them a chance will be down to your judgement. Consider how far short they are falling. Do they appear to be making efforts to improve? If you do feel you might need to end their employment, invite them to a formal probation review meeting. You should come to this meeting prepared with examples of how the employee has fallen short of expectations, and offer the employee an opportunity to respond to these examples. If you still don’t feel they’ll meet the required standards, you might decide to terminate their contract. If you do so, you will still need to give them the notice period that is written into their contract for their probationary period. If you think the employee might still be able to improve, you could extend their probation period. If you do so, you should be clear on how long the probation is extended by, and set clear expectations around how you expect their conduct or performance to improve. In the absence of a contract of employment that sets out an agreed notice period, you should give the employee the statutory notice period. This is one week if the employee has been employed with you continuously for a month or more, but for less than two years. If the employee has been employed for over two years, you will need to give an extra week of notice for each complete year, up to a maximum of 12 weeks. Dismissal without warning is legally permissible in the case of gross misconduct, provided you have the appropriate evidence to support your decision. With the exception of gross misconduct (which should still be investigated), making the decision to dismiss someone shouldn’t be rushed into. You need to ensure you’ve followed your disciplinary and/or capability procedure and that you have a valid reason, supported by evidence, for dismissing an employee. A snap decision could increase your chances of an unfair dismissal claim. While this is a general outline of the process you should follow when dismissing someone, we highly recommend that you speak with an experienced HR Consultant to be certain that your reason for dismissing an employee is a valid one. Not only can our HR experts help you to terminate an employment contract legally, but they can also help coach you through the process, so you can handle the situation calmly and confidently. Call us for more info on 0333 444 0165 or you can email us at info@citrushr.com. Gross Misconduct: What is it and how to manage it?